Identify risks. If there is imminent danger or if someone has a weapon, call the police on 111. If you see any suspicious behaviour, no matter how minor it appears, call University Security (0800 373 7550). Keep confidentiality and be non-judgemental. Support, listen and recognise the courage needed to speak out about family violence. Recognise boundaries. 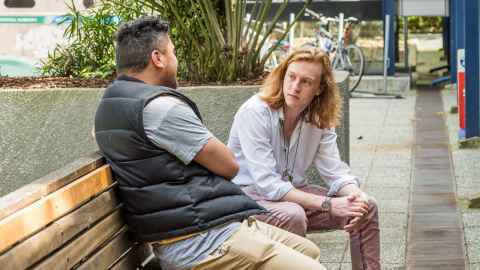 Most of us aren't counsellors and unless we are a designated contact person, we aren't able to provide access to University support. Recognise when someone you know is dealing with a difficult situation or is behaving unusually. Respond by letting them know you are concerned about them. Encourage them to talk to the University contact people who are available to assist and support them. Offer to go with them to get support. Help them get information on protection orders, emergency accommodation, financial help, or support groups. Allow them to make their own choices and decisions in their own time. It is important that someone who is being abused is able to take control of decisions that affect them. Also be aware that leaving an abusive relationship can be a very dangerous time – the violence can escalate. Try to support them until they are strong and safe enough to make difficult decisions.